ICAST 2013 wrapped up yesterday in Las Vegas and it was an incredible show! We got to chat with dozens of B.A.S.S and FLW Pro anglers. Combine that with all the cool new innovative products, we were re-energized with excitement about the industry and angling in general. 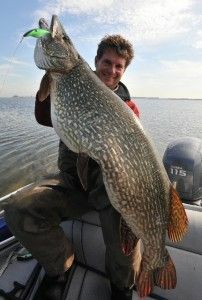 We saw the best examples of this from Lunkerhunt, Livingston Lures and Live Target. Lunkerhunt released their Lunkerfrog, a new take on the hollow body frog with anatomically correct legs earlier this year, and also announced the development of their new Pocket Frog. Livingston Lures continues to lead the charge in lure sound technology which mimics baits in distress, and announced the release of their next generation Pro Series later this year. 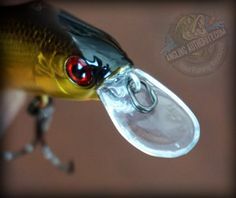 Live Target showed off their new BaitBall lure, which visually mimics several bait fish together instead of just one. 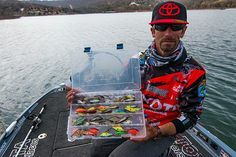 This balance and focus on making high quality lures and equipment attainable for most anglers was most evident in the Daiwa, Livingston Lure’s and Power-Pole’s new product launches. Daiwa’s design of the new Tatula rods and reels take premium features and engineer them into a high-performing and durable line, without the premium price tag. 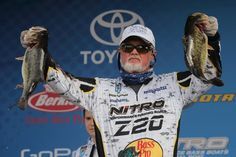 This was echoed in the Livingston Lures press conference by the pro anglers who are highly involved and personally invested in the lure designs, including Randy Howell, Brent Chapman, Jeff Kriet, Byron Velvick and Hank Cherry. The 2013 ICAST Best in Show Winner, Power-Pole’s Micro Anchor was designed specifically for smaller boats 1500-lbs or less, including canoes and kayaks for a small fraction of the cost of a traditional entry-level Power-Pole. Navionics and Fishidy both presented their approach to doing this through different channels. Fishidy is an online community which provides anglers with tools to mark catches, access tips, techniques and data on thousands of waterways with a growing community of anglers via the web. Navionics held a press conference this week to announce the availability of Navionics+ and Navionics Updates through resellers worldwide. This means that customers will be able access cartography and boating information by providing easy online updates to ensure their charts reflect the most current data available for their GPS chartplotters. Navionics+ contains multiple content layers including Nautical Charts, SonarCharts™ high definition bathymetry map layer, and Community Edits. The new Micro Anchor was the 2013 ICAST All-Around Best of Show and in the Boating Accessory category. This awesome accessory brings the functionality of a traditional Power-Pole to smaller boats less than 1500-lbs, including kayaks and canoes, starting at just $599. The Lunker Frog was the 2013 ICAST Best of Show winner in the soft lure category. The new Pocket Frog shows lots of promise too. These new frogs won’t hurt your wallet either, retailing for about $8.00. Before the press conference announcement started, we overheard Ish Monroe telling someone from Daiwa that he was taking a couple of their display models with him, “No, seriously, I NEED these.” He continued to explain that all the pros were back on the tournament trail again right after the show. Not only is this line highly desired and tested by pros like Ish and Randy Howell, but they are easy on the eyes. The reels and rod models start at $149 each. These Premier Musky rods are new for 2014 and will retail for $240. They come in 2-pcs for both convenience and performance. 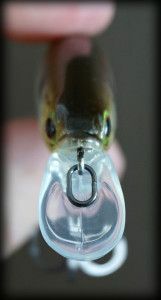 There is no question that this is a must-have for all the musky anglers out there. More details to follow soon. 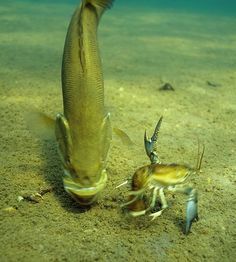 Livingston Lures has been leading the market in new sound technology that is integrated within their baits. A new Pro Series line with additional features will be launched in the coming year. Although we don’t know many details beyond this, it was the unsaid cues from pro anglers like Randy Howell, Jeff Kriet, Brent Chapman, Hank Cherry and Byron Velvick that clued us into how big this new line is going to be. The Livingston Lures pro staff team are personally involved in the design of these lures, and they are all clearly excited about the new line. Freedom Tackle’s second ICAST product launch has proven that we should only expect great things from this new lure manufacturer. They’ve taken some of the best features of their hybrid jigs and incorporated them into a new spinnerbait concept to help you catch more fish. The Elite-5 HDI includes many of the proven features recently launched with the highly successful Elite-7 HDI. Now you have the option of Hybrid Dual Imaging (HDI) at a more affordable price. Models start at $449. Navico has enables anglers to upload their sonar data and make community edits, creating more accurate and up to date information and charts. The new addition to the Shimano reel line-up won 2013 ICAST Best in Show in the freshwater reel category. Features new to this reel include a light-weight slim profile, 7.6:1/6:2.1 gear ratios and SVS Braking System for fine tune adjustments. It’s available for pre-ordering now for $269. 12-foot shallow water anchor – need we say more? This new addition to the Talon family will be available in fall 2013, and will be available in silver, black, blue and red. Stay tuned for in-depth articles on each of our top picks. ICAST 2013 Overall Best of Show – JL Marine Systems, Inc.
Best of Show – Boating Accessory – JL Marine Systems, Inc.
Best of Show – Boats – Johnson Outdoors Watercraft, Inc.
Best of Show – Fishsmart Tackle – Foreverlast, Inc.
Best of Show – Kids’ Tackle – Pure Fishing, Inc.